Foodi Tours of Australia is a must-see for anyone who thoroughly enjoys learning about local culture and food. 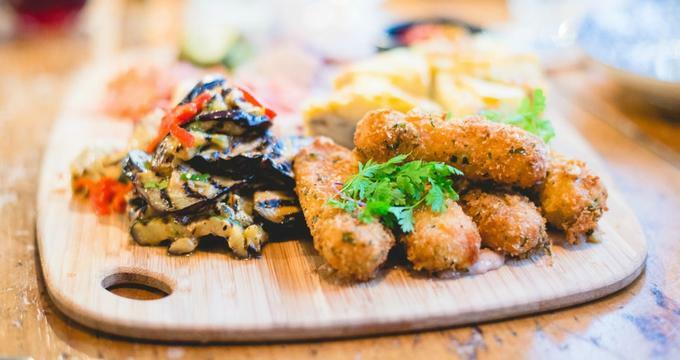 Available in a variety of cities across Australia, Foodi Tours is a unique and exceptional way to learn about the various cultural points of major cities throughout Australian cuisine. Tour participants will gain a unique insight on the history of cities in Australia while visiting a variety of restaurants and eateries and tasting scrumptious samples along the way. Foodi Tours are not just for tourists; even locals will find that there is much to learn and experience by partaking in a Foodie walking tour. All details related to the start time and location of the walking tours is included with the confirmation email and ticket purchased. Please note that individuals with dietary restrictions are urged to contact Foodi Tours in advance so that the necessary arrangements can be made to accommodate specific food-related restrictions and/or allergies. Likewise, the Foodie walking tours are not recommended for those who require mobility assistance in the form of walking aids or a mobility scooter. Those interested in finding out more information about the mobility and accessibility of the Foodie walking tours are encouraged to contact Foodi Tours directly. Those interested in booking a walking food tour are encouraged to check the calendar on the Foodi Tours website in order to find applicable dates for walking food tours in specific Australian cities. Foodi Tours offers private bookings for all of its food tours. To be considered for a private booking, tour groups must have a minimum of eight people. Likewise, a non-refundable deposit of $100 is required to secure the booking. A minimum of at least 3 weeks’ notice is required for all private bookings. Please contact Foodi Tours directly at 1300 39 40 41 for more information on private bookings for walking food tours. Foodi Tours offers vouchers at the value of a walking food tour or in increments from $50 to $300. These vouchers can be emailed or snail-mailed to the applicable recipient. All vouchers are redeemable for up to 12 months from the date of purchase.